Chickens start laying eggs when they become adults. Backyard production egg breeds like the red star and the black star can lay as early as 15 weeks, though most lay a little later than that. Heritage breeds, which are the type I raise, can take up to 26 weeks to start laying. I have had some in the past that have taken all of 26 weeks and even a couple more weeks than that. This year I got lucky and one of my gold laced Wyandotte’s started laying this weekend. She is 17 weeks old. It is cause for celebration. Of the original ten I got this spring, I have four left. The buff Orpington is starting to look like she is maturing and could be laying in a couple of weeks. The other two, a silver laced and a gold laced Wyandotte, are still a ways off before I will be looking for eggs. It was nice that it happened while I was home, though I must say RangerSir has certainly stepped in a fill the role of lead chicken wrangler quite well this summer. I missed seeing the stages as they grew, but they likely did not know I was gone. We call these two the sisters. The one on the left is the one who has started laying eggs already. Yesterday I had a third hen go broody on me. AGH! I have six layers and three nest boxes this should be more than enough, and suddenly I am running short. I have been going out several times a day and taking the ladies out of the boxes, carrying them far away ( you can read that to mean out of the coop, out of the chicken run, well in the free range area with the working the ladies). Yet they return home, so the next time I go out and check they are back in the nest box. 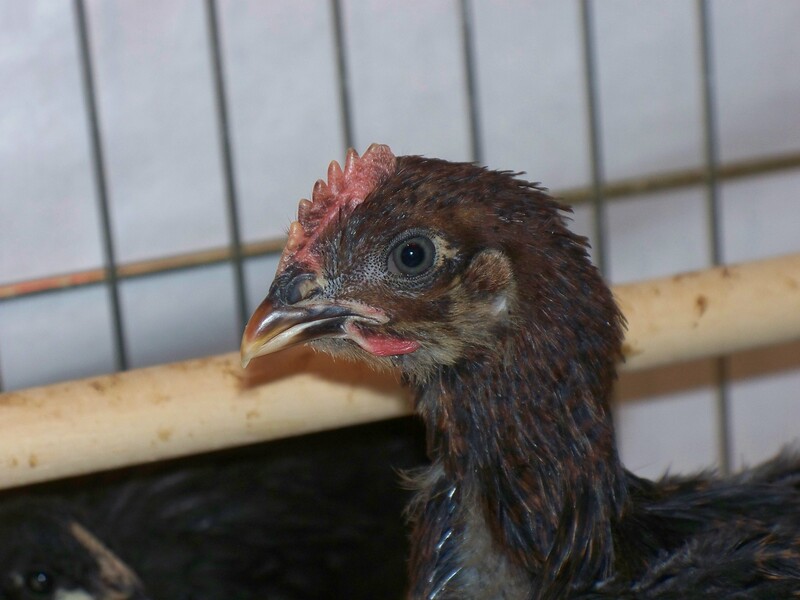 Broody hens have a different personality and do lots of talking. Each time I enter the coop they issue all sorts of warning in with sounds telling to me that they are busy and I best go away. They are not squawks, but sort of a muttering and cursing under their breath letting me know I am disturbing them. It is also the time they are likely to peck at you to get you to leave them and their imaginary eggs alone. I must tell you all that hens temps get a little higher when they go broody, keeping the nursery warm. I am extremely cold blooded and I love to reach my hand under them and feel the nearly hot place under their breast feathers the birds have for their imaginary chicks. That hot spot is what you need to break if you hope to stop all this. You remove them to a place where they can not nest and they cool off. In days when everyone had flocks, some birds who were good mothers were allowed to raise a brood of chicks. If no chicks were wanted, the person responsible for gathering eggs did just what I do, throw them out (though I suspect they did not pick them up and spend as much time getting them out of the coop as I do.) Today many folks have “exhibition pens” they can put a broody hen into. It is a wire cage, with no bedding and no nest, but plenty of fresh water and food. Within two or three days this whole broody mess is over. I am sure you are wondering, if it is that simple why don’t I just get on with it and stopping talking about it. Some breeds are broodier than others, and mine are some of the breeds least likely to go broody. In the past I have always been able to shake this behavior with just pulling them out several times a day. I don’t have an exhibition pen, but do use a extra wire dog crate as my isolation chamber when I need it. Unfortunately right now my new chicks that are still not fully integrated in to the flock are using it as part of their shelter. The other problem is space. I am running two flocks, my adult flock and juvenile flock. That means I am using some of the free space in my shed to make a second temporary coop. The whole idea of juggling all that to make a 3rd area in my shed to for a no-more-broodiness set up seems like a lot of hassle. But I have set a deadline of Monday. If at least one of them does not get over this they will be asked to cool their jets in the dog crate. This year’s young chicks snitch food out the layer’s feeder. One of the problems of integrating a flock is feeding them. There is a danger of too much calcium for little chicks if they eat calcium-rich layer food too soon. On the other hand your layers need calcium to lay eggs with fully developed shells. I only maintain a small flock of chickens and don’t need or want half-used bags of chicken feed left around my shed. Here is my solution. I allow my new chicks one 50 pound bag of chick starter. Once that bag is gone they go on an all-purpose flock raiser feed. Flock raiser is an all purpose food, not perfect for any type of chicken, but it will work, sometimes requiring supplements. During integration I swap my layers over to flock raiser as well. Layers require the supplement of calcium with flock raiser and I use oyster shell during this time. If my young ones have any chick starter left I continue to fill the feeder in the youngster’s pen with chick food until they finish off their bag. Then they too will move over to all purpose flock raiser food. Life will continue on this way until the first young one lays an egg, then I will let them finish off the flock raiser feed, and move them back to layer pellets. Come late summer I will have only one type of feed left and it will fit in my mouse-proof can. No problems and a healthy flock of layers for the winter. The TV has been reporting that a major egg produce has been kicked to the curb by McDonald’s. It has been reported that this egg producer was inhumane and unsanitary. It really drives home how wonderful the backyard flock is. 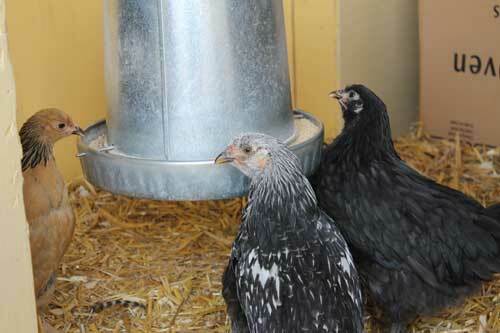 It also serves as a reminder that backyard flocks are work to keep. Keeping sanitary conditions require a vigilant routine. Chickens like all living creatures have waste, a.k.a. poop, that has to be dealt with. My chickens though they weigh less than my dog produce bigger and more poop per hen than my dog does. In the summer it is fairly easy to keep my conditions clean, as they are free range and head out as soon as I open the gate to their run. They head out into the pasture looking for good eats, and travel far and wide; spreading their manure the same. Quite honestly cleaning is not much of a summer issue for me. I do keep a clean coop but because they spend so much time on the run, they don’t create much of a mess on the home front. In the winter, they spend their days mostly confine to the run and spend many more hours on their roost with the longer nights. This means that cleaning up after them becomes an issue. My key item in this is the poop board under their roost. It is as you imagine, a board under the roost that catches the droppings. I can rake it off into a manure bucket and wa-la a clean coop. In the winter this is a regularly scheduled chore, and though it should be a stinky task, the tundra of Montana freezes it rending it odorless. They still spend most of the time even on the coldest days out wandering around so the floor of the coop doesn’t collect much. I add a little more straw through out the season to the floor,to help keep it clean. I watch the floor and if they spend too much time inside and the floor starts to get dirty, I pull out all the straw and start over. Clean coops and sanitary conditions for chickens are no accident; factory farm or backyard flock. With a backyard flock, I have the advantage of knowing my hens are healthy, and the conditions they live in are sanitary. Not only do my eggs taste better, but I believe them to be safer. I adore my eggs sunny side up, and never have to worry about the disclaimer found restaurant menus the raw eggs can be dangerous. Home-made mayonnaise is a taste bud delicacy that I would not dream of making with store bought eggs. Yet once in a while you will find home-made mayo in my refrigerator, though it does not last long. This week McDonald’s restaurants and other retail chains showed their power by canceling a relationship with an egg producer. I say power to the people become an egg producer with your own backyard flock. We added six chicks to our flock this spring, and they are now at 18 and 15 weeks old. This is early to be looking for eggs from this crew, but yesterday we got our first egg from the new crew. A nice blue-green turquoise sort of egg. The early layer is an Easter Egger, we call “Curley”, who has one curled toe. A Easter Egger (EE) is an unofficial breed and a mutt of the chicken world. It is a cross of an Ameraucana, a hen who lays blue eggs, and a brown egg layer. 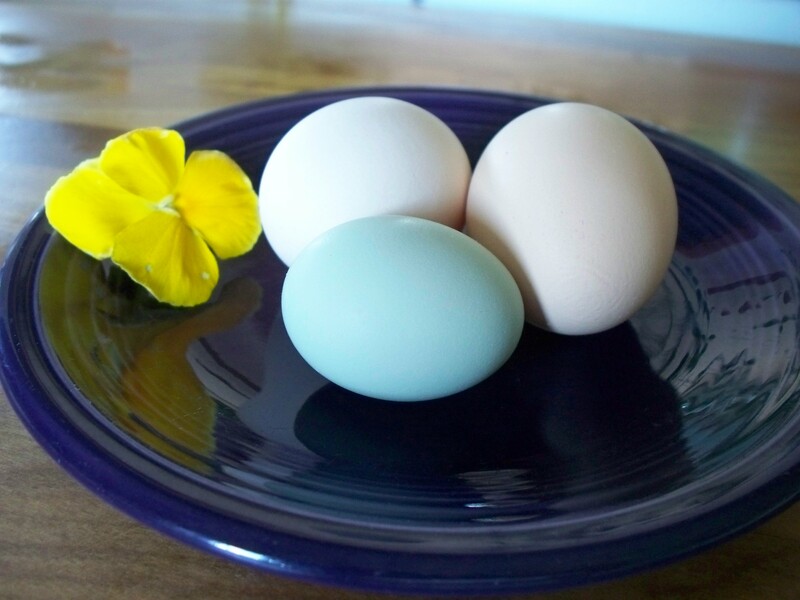 As a result of this breeding EE lay colored eggs from blue, olive, pink and everything in between. EE are known to be above average layers and are like all mutts a dice roll on looks and personality. EE are popular with hobbyist and small flock people. It is fun to have a bird who lays colored eggs. Some of the EE also have feather beards and ear muffs which make them have an out of the normal look. We found a shelless egg in the coop last week. This week Curley was in the nest boxes every day trying to produce an egg. She rearranged the bedding daily, trying to make the nest perfect. 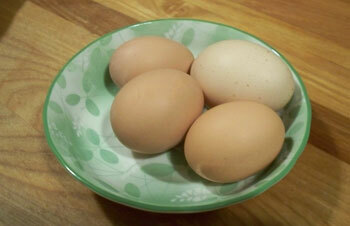 Yesterday our two-year old hens each laid and a brown an egg, but in the middle nest box was a little blue egg. It was a 3 egg day. Poultry is enjoying a revival. There are folks all over the country who are taking on two or three hens, many of them in cities. This is good in many ways, as our society becomes less agricultural people become more distanced from their food. It is also bad in a different way, as we aren’t always prepared to deal with roosters. Look at the comb at 4 weeks! It looks like a rooster to me. This year we bought 6 chicks that were suppose to all become hens. As they grow I watch them carefully for signs of a rooster, after all sexing day old chicks is only at best 90% accurate. Half are 9 weeks and the other half are 6 weeks. It appears that we have 3 hens, one rooster and the jury is out on the last 2. Hands down roosters are handsome birds, they are what our minds conjure up when we think of chickens. Think the old Corn Flakes box. The colors so bright and beautiful. Feathers shining and reflecting different colors depending on how the sunlight catches them. A good rooster can also serve to keep an eye on the hens and warn them of predators. On the other side of the rooster debate is the evil rooster. Everyone who has known chickens for any amount of time can tell a story about being chased, pecked and worse at the hands of a wicked rooster. Then there are the roosters who are on testosterone overdrive and spend all their waking hours chasing the hens….some go so far as to scratch out all the hen’s feathers in the act. Many city folks can not have roosters because of their crowing. This is where the perils of being a rooster start. What to do with that rooster you don’t want. In grandma’s time he would become dinner. 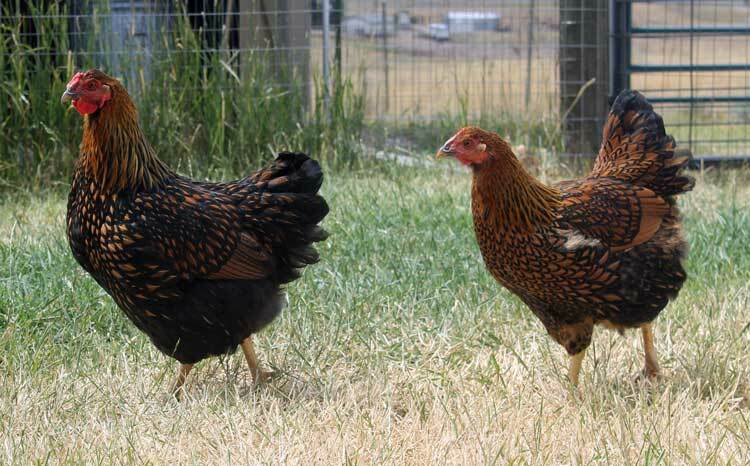 Many who take on chickens today have not thought seriously about their livestock endeavor. Today our animal shelters and rescue organizations are becoming overrun with unwanted roosters. Many of them no-kill groups are forced to keep these boys the rest of their lives in cages as a flock of roosters is not a happy family. These groups are questioning the wisdom of backyard flocks because of this unwillingness to deal with another unwanted critter. Like many of you I don’t really want a rooster, but if I end up with one or three I am prepared for decisions I will need to make. I wish I could send them off to be butcher, pay some money and they come home ready to eat in plastic bag. My reality is I live in cattle country and there is not a chicken processor to be found. If I am lucky I will find a family who wants some cheap eating and take my birds for their table. If not I will be butchering a rooster or two soon. Not my idea of a good time, but I think saying thanks to my birds for their substance they will provide is indeed a good way to honor their lives.